A first Monday of the month Candlelight Vigil monthly at San Quentin Prison, Marin County, CA. 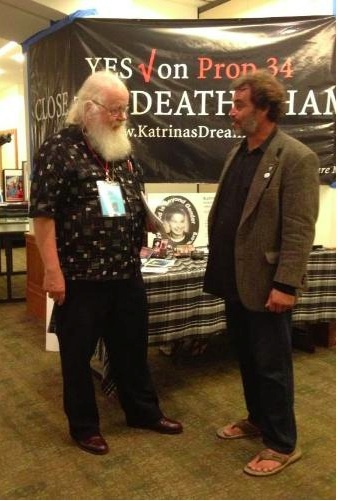 Due to the untimely death of Katrina’s Dream founder William Swanson this program is being re-visioned as we identify new ways to address the atrocities visited upon those imprisoned. William was the instrumental in the founding of Katrina’s Dream, his life philosophy has shaped all that is to come. Katrina’s Dream will be holding a Candlelight Vigil and Community Assembly on February 3, at 4:30 pm. We will meet in front the West Gate of San Quentin Prison. 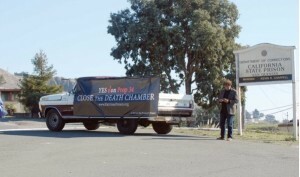 People of all faiths will be gathering, calling on Governor Jerry Brown and our Legislators to Close the Death Chamber at San Quentin Prison and abolish the Death Penalty here in California. We are bringing back the vigils and need your support, presence and prayers more than ever. We are asking that you share the news of this vigil with all your friends and family. We hope that people of State of California will stand up and say, “NO MORE KILLINGS – NOT IN MY NAME”.